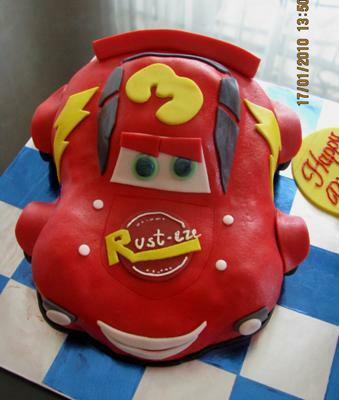 This Lightning McQueen cake is my 1st car cake. As I don't have a car cake tin, so I bake a 8" square cake and from there I start shaping the cake. I applied a thin layer of buttercream before I covered it with fondant. All details I used fondant.